Loop Jewelry’s mission is to bring every couple shopping for an engagement ring true quality and honest support at fair prices. 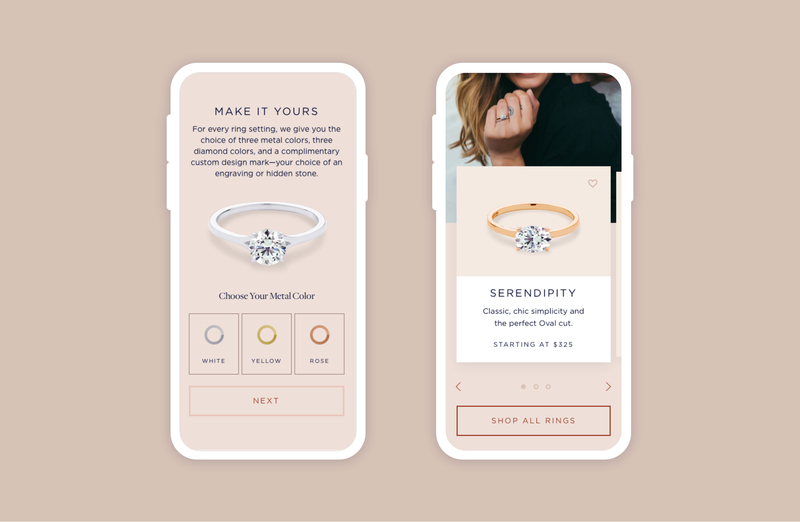 When Loop Jewelry came to us, their site was already launched, but the user experience needed to improve before they fully promoted their brand. We audited their site and improved key features such as the PCP, ring customization process, and checkout. 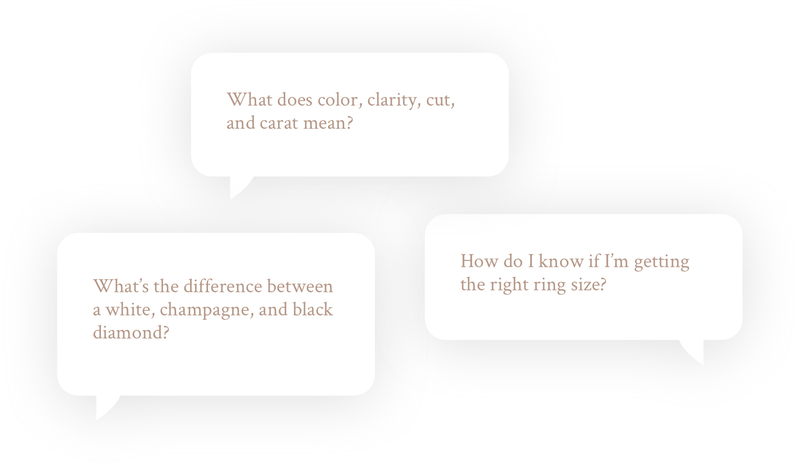 There’s a lot of information a buyers needs to know when buying an engagement ring. In order to answer these important questions, we created a focused step-by-step ring customization tool that surfaces contextual information during each step of the process. This way, the ring buyer receives the answers they’re looking for while still remaining within the purchasing funnel. 80% of Loop’s traffic comes from mobile, so designing mobile-first was key in ensuring a great user experience. The ring giver and the ring receiver. 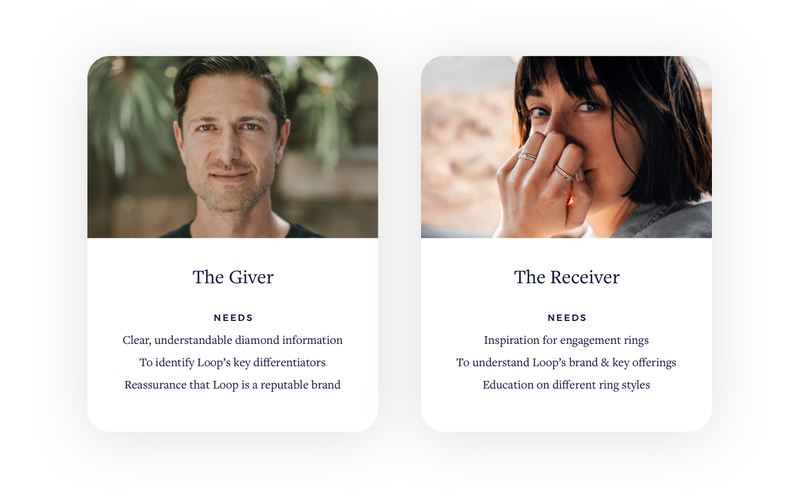 The giver campaign page provides all the valuable information needed to purchase a ring, including Loop’s guarantee, explaining the 4Cs, and showcasing customer reviews. 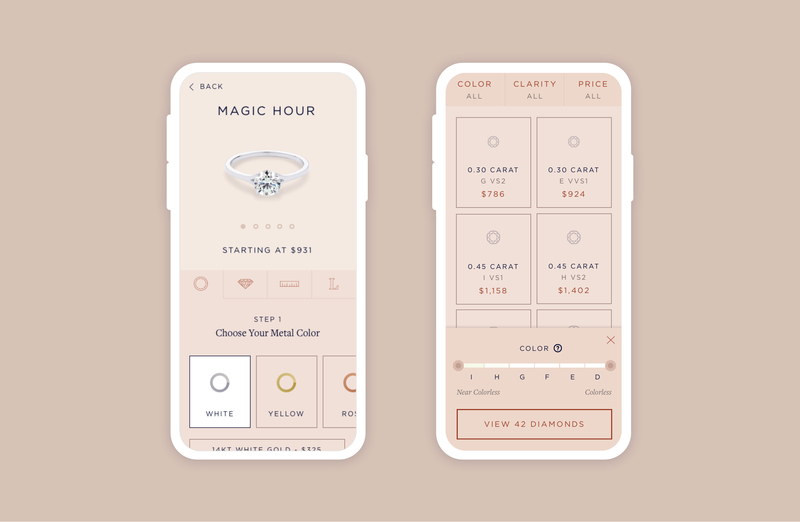 On the other hand, the receiver campaign page focuses on inspiration for the wearer by showing diamond styles while teasing out Loop’s ring customization features.